We update the blog after time with many new features! 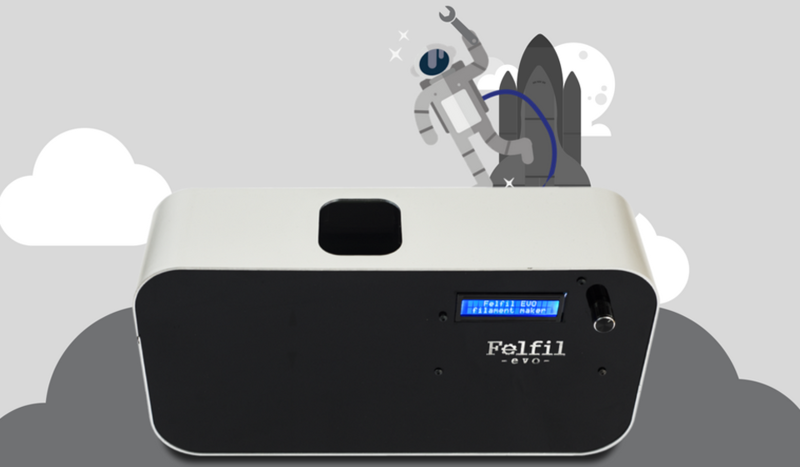 Who follows us on Kickstarter will know that shipments of Felfil Evo Complete Kit and Assembled have started on January and still continue; soon all orders will be delivered and you will have Felfil Evo on your desks! Meanwhile, we have added a new SUPPORT section to our website where you will find everything you need to assemble Felfil Evo and for technical assistance, also the Manuals of all the kit for free download and videos from Felfil Guide on our official Youtube channel. We are waiting for your suggestions and we will be happy to answer all your questions, so leave a comment or fill out the form on the page for product support. Anyway, Mamacrowd equity crowdfunding campaign was successfully complete and the Felfil family increased, we have collected f over 100,000€ and more than 50 investors so we are grateful for the support!